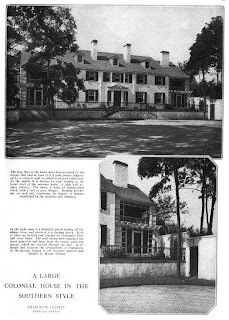 More on the George deForest Lord residence designed by Beers & Farley c. 1922 in Woodmere. Click HERE for more on the Lord residence. Photos from House & Garden, 1922. I've wasted two days at work looking for this house. Is it possible that it is on Ocean Ave. in Lawrence? 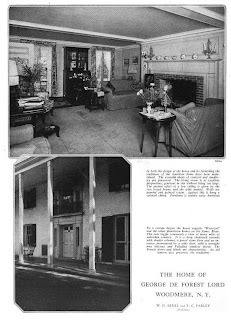 I saw some records that said the family property "Sosiego" was in Lawrence, and the houses there seem to be more in line with the caliber of this house, but it could also be that Woodmere was part of Lawrence before it was incorporated. Either way, I can't find this house anywhere.